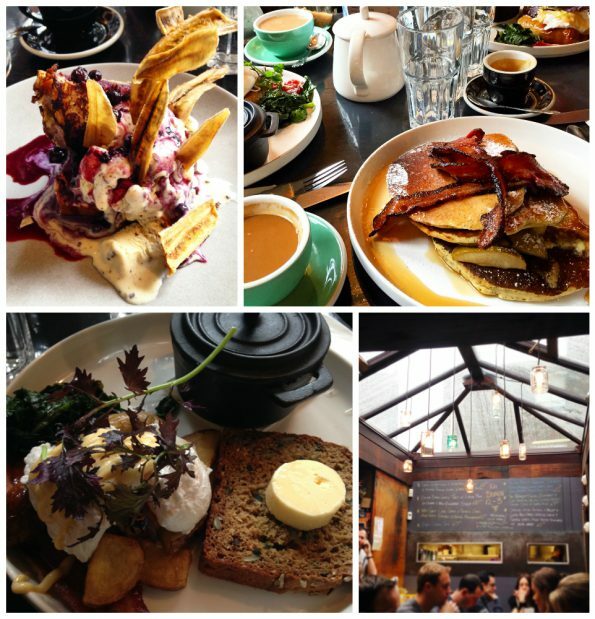 Kai now has a reputation of a go-to Sunday brunch spot. If you fancy coming here make sure you have the proclivity to queue (it’s worth it of course!). Opening at 12 and finished at 3, you need to be here by at least 11.45 and queue to guarantee a spot. Dishes range in price from €9.50 to €13.50. Staying in Galway’s West End, Dela open since 2013, not only does weekend brunch but during the summer months has been running this hugely popular menu all week from Tuesday to Sunday. 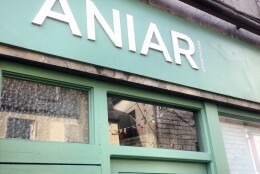 Overseen with style by the affable Margaret Bohan, this is a restaurant that tries to grow as much of their own produce as possible and is constantly expanding their farm which is based in Moycullen. The brunch menu is what you would expect but done with care and a welcome twist on the traditional here and there. Outside of the usual fry, they do an excellent eggs benedict and although a bit more on the “unch” side of brunch the braised beef cheek melt with celeriac remoulade is incredibly moreish and seriously worth the trip alone. The buttermilk pancakes with butterscotch and glazed walnuts (also served with maple syrup and bacon) are given a big thumbs up by my companion as is the veggie breakfast with fried eggs, mushrooms, tomato, home fries, falafel, and cauliflower pakora. Dela also have a nice selection of cocktails ranging from a Bloody Mary to a Bellini to shake off the cobwebs and start your weekend in style. Over in the Latin Quarter, Ard Bia at Nimmos is my next recommendation. 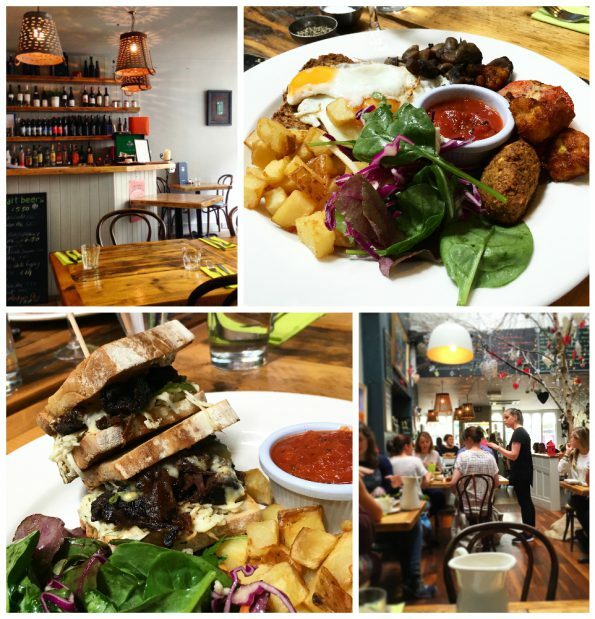 This café and restaurant, run by Aoibheann McNamara, is a magical spot, focusing on local and seasonal ingredients. 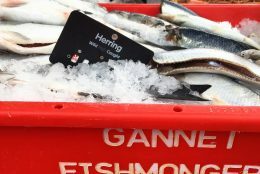 The menu has an air of floaty simplicity but there’s anything simple about the quality of produce, the execution, and the delivery. It’s difficult to separate what makes a good fry. 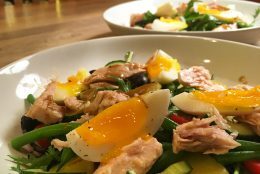 As I’ve spoken about before, it is a seriously exposed dish, everyone knows what one tastes like, and so it becomes about the quality of the ingredients that sets one apart from another. The Ard Bia fry is the best I’ve had, with the “Kai Fry” just pipped at the post. Maybe we could have a fry off to see who ultimately wins that one! Ard Bia also does excellent Buttermilk pancakes and at €7.50, represents excellent value for money with 3 large pancakes with poppy seed, berries, mascarpone and local honey. Finally the poached eggs on a toasted muffin with seeds, hollandaise, and a choice of baked ham, organic smoked salmon or avocado is fantastic. Just go here. Finally it’s over to Merchant’s Road to Tribeton. 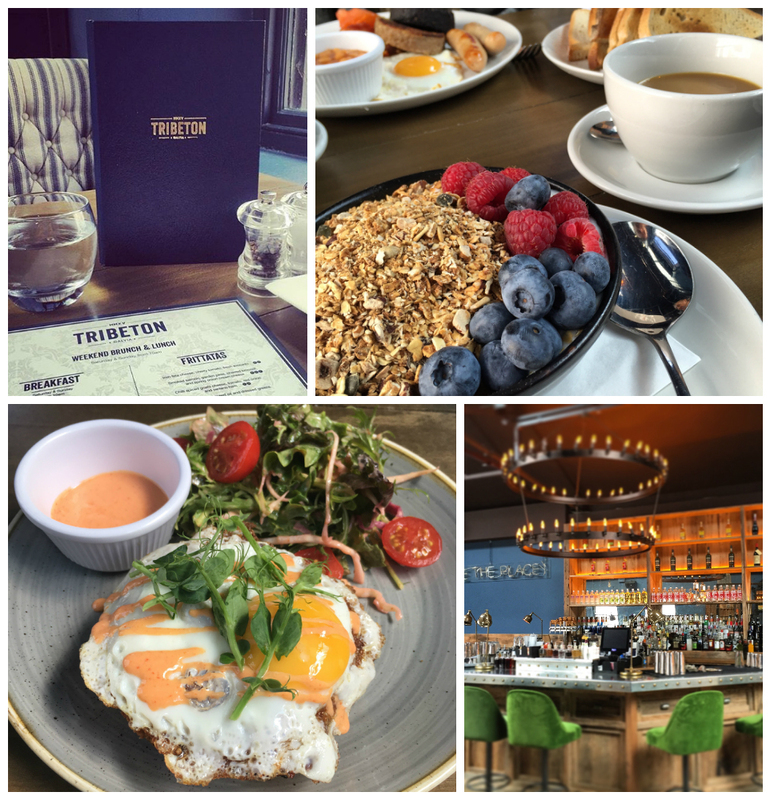 One of Galway’s newest and coolest venues, it would be easy to hide behind the visually impressive aesthetic of the décor but Tribeton is doing an excellent job, particularly with its brunch. With a recently newly designed weekend brunch menu they aren’t reinventing the wheel and you’ll find dishes of bacon, or salmon benedict, French toast, and buttermilk pancakes. However, with a welcome addition to the menu they are stepping outside the box with a Hash of beef and potato (more a potato cake than a hash but incredibly tasty) topped with a fried free-range egg and a chipotle-spiced yoghurt dressing. This is a delicious dish and an appreciated foray outside of the usual fare. Another example is an Arabian style dish of Middle-Eastern style eggs, feta cheese, and fried spicy beans with flatbread, a spiced veggie rice dish with fried free-range egg, lime, and pomegranate, and also a range of frittatas to choose from. The coffee is good and the staff are friendly. 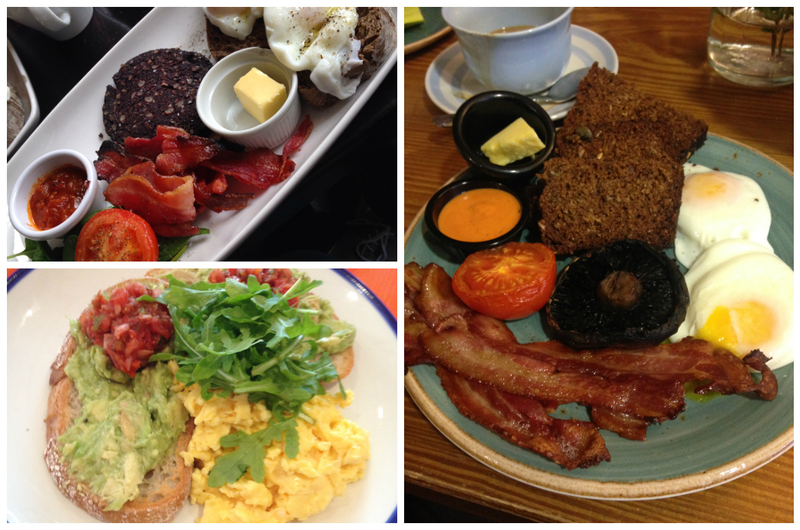 Hey Buddy!, I found this information for you: "Galway’s Best Brunches". 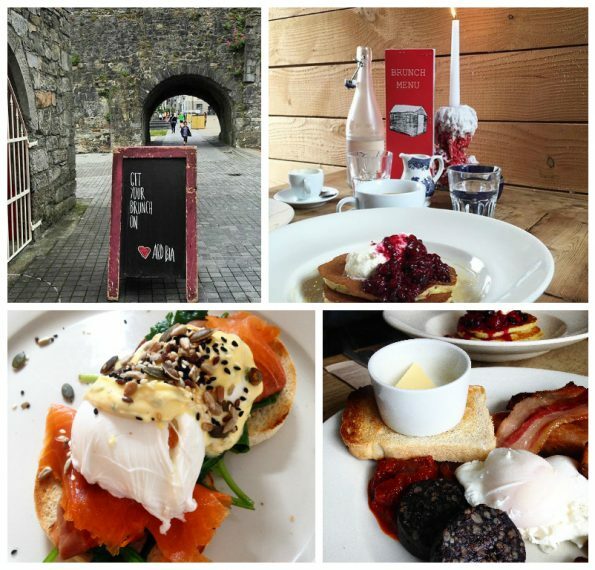 Here is the website link: http://www.aglassofredwine.com/2016/08/02/galways-best-brunches/. Thank you.